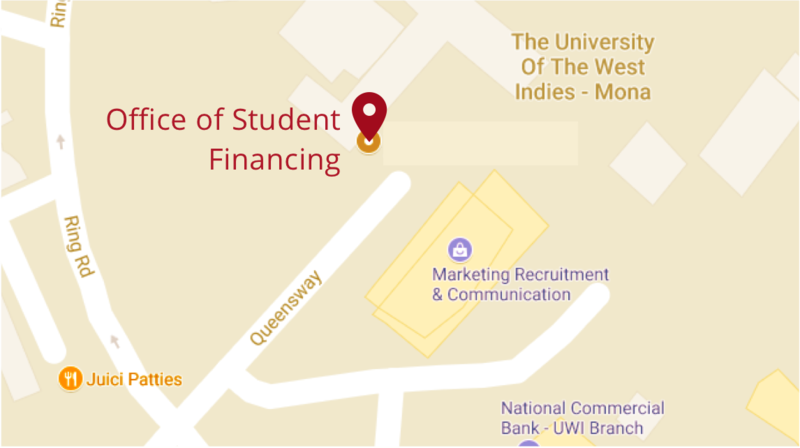 The Office of Student Financing (OSF) exists to assist registered full-time undergraduate students of the Mona Campus. The Office administers a number of scholarships, bursaries and grants as well as other forms of financial assistance and provides financial guidance to students where requested. Many scholarships and bursaries are awarded on the basis of academic performance however, there are numerous awards that are reserved for students who are pursuing a particular field of study, demonstrate financial need, leadership qualities and are actively involved in co-curricular activities. The OSF also seeks to provide general financial assistance to students who demonstrate financial need especially as it relates to their daily travel and meal costs. The office partners with various stakeholders of the University in order to maximize the availability of scholarships and bursaries to students. These include (but are not limited to) : UWI Development and Endowment Fund and the Office of the Board for Undergraduate Studies. New scholarships and bursaries are always welcome and potential donors may email or contact us by telephone in order to become a part of our donor programme.